Orlando, FL February 4, 2016 – Brenda Schubach Kiehnau joins Emmy-Award winning Celebrity Films crew on a “Mission for Good” to the Dominican Republic to visit Bienvenida, Pastora, Brigida, to spread entrepreneurial knowledge to women who have grown successful businesses through the micro loans from Esperanza. Esperanza is an organization that empowers women to open businesses to generate income, education and health for themselves and their families. As a Global Ambassador, Brenda Schubach Kiehnau lead a class and shared her expertise in running a business, basic entrepreneurial skills, offering advice, and the steps for growth. Brenda also worked with the community to help support micro lending and water purification systems. She taught that by funding these initiatives, it could lead to a long lasting sustainable life for generations to come. 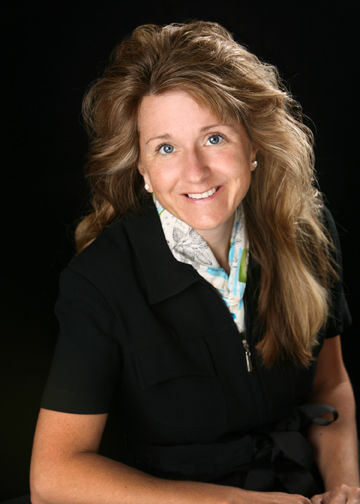 Brenda Schubach Kiehnau is a successful Best Selling Author, Inventor, Engineer, and Humanitarian. She has mixed her life’s work with her heart’s desire to give back to society in a compassionate and sustainable way. Coming from a background in criminal justice, Brenda worked with those living in poverty, domestic violence victims and exploited children at the Department of Justice and Boston’s Children’s Hospital in conjunction with Harvard University. She has been granted the prestigious award of Unsung Heroine from her alma mater Regis College, and has been featured in numerous newspapers and on NBC news. After contributing to a guide for prosecuting attorneys in domestic violence, Brenda embarked on a new career of education and visual merchandising, studying at Rensselaer Polytechnic Institute, SMU, and Stanford University. As an Executive Vice President she has lead many teams in the design and invention of new products for 100 of the largest companies in the world. Her ability to connect and understand people has led her to impact brands in a big way, from start-up to billion dollar enterprises. She has contributed in every facet of innovation and global rollout. Her business savvy, legal background and passion to help others has also, been the foundation needed to create her mission based organization I am a Force4Good ®. Driven to enhance humanity she designed a company to help bring dignity to women around the world with fair and equal opportunities. I am a Force4Good® is about finding your unique inner light, your OrganicSelf® and sharing that gift with those around you to positively enhance the world for generations to come. Experience Brenda’s deep-rooted compassion for others by reading her latest book, Breaking Through. Her contribution of “No Boundaries” has been recognized with the Editor’s Choice Award and hit Amazon’s Best Seller list. In addition, she was just nominated for an Emmy for the documentary ARMONIA, which exposes the division of Mexico’s culture and country years after being conquered. As one of the Executive Producers she focused on the importance of building educational and sustainable entrepreneurship programs in the rural town of Oaxaca, Mexico. In 2016, she will share her enthusiasm as an ambassador and speaker at the United Nations when she presents on education, dignity, and humanities roll in the next decade. Her loyalty to lead by example and make a profound difference in our world has only just begun.